Is there a better alternative to VistaClock? Is VistaClock really the best app in Desktop category? 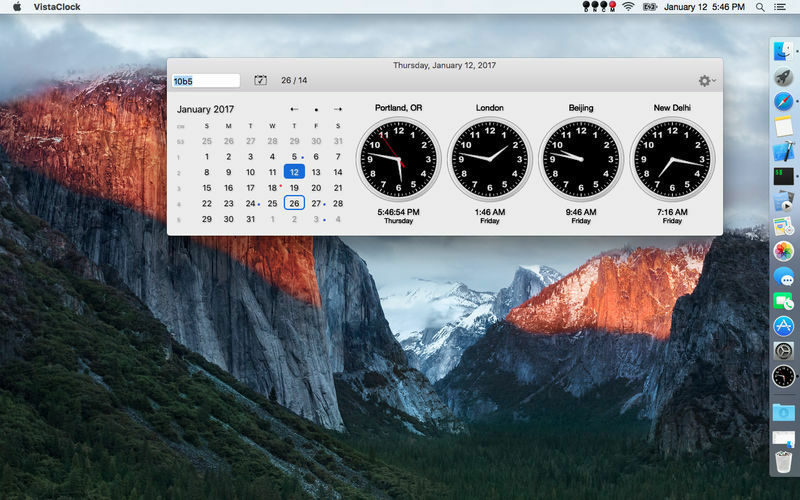 Will VistaClock work good on macOS 10.13.4? 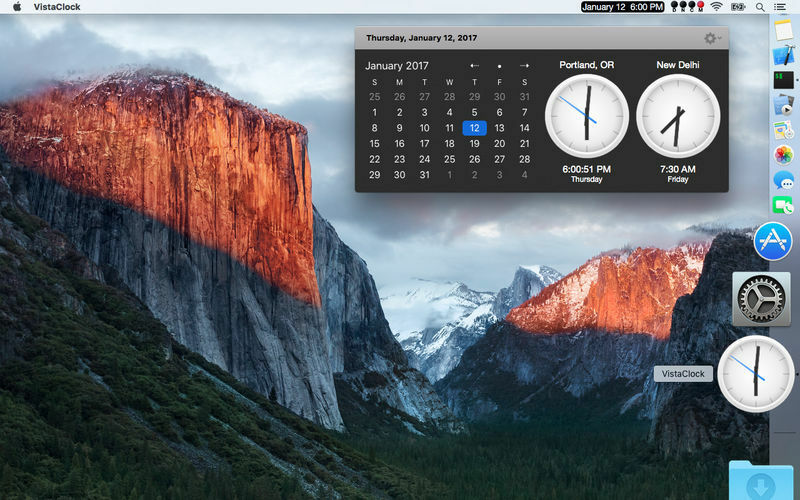 VistaClock is a replacement for the Mac OSX build in menu bar clock. 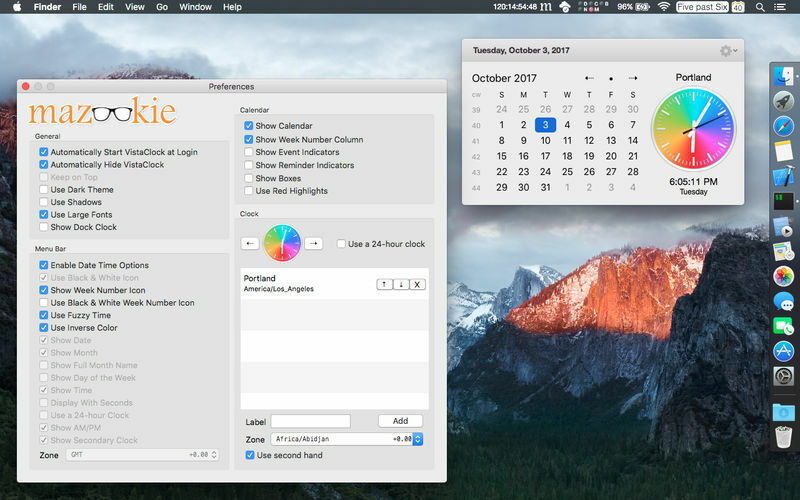 VistaClock not only gives you the time and optional week number icon display, but when you click on it, a dialog with calendar and analog clock opens up. Optionally you can add additional clocks with time zones. You can quickly see the date for two weeks from next thursday. Or the day the 20th of next month falls on. 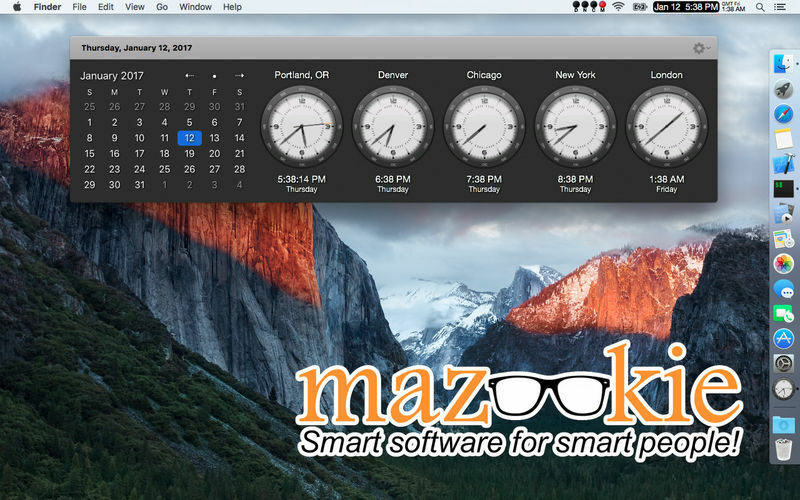 Quick access to calendar and analog clock with second hand. Week Number Icon in the statusbar (color or monochrome). Bug fix for tool bar. VistaClock needs a review. Be the first to review this app and get the discussion started! VistaClock needs a rating. Be the first to rate this app and get the discussion started! Additional clocks with time zone support. Custom format for statusbar clock. Custom Clock Control, choice of clock faces. Automatically hides when not in focus. Go to date and Day details, including day of year and offset from current day. 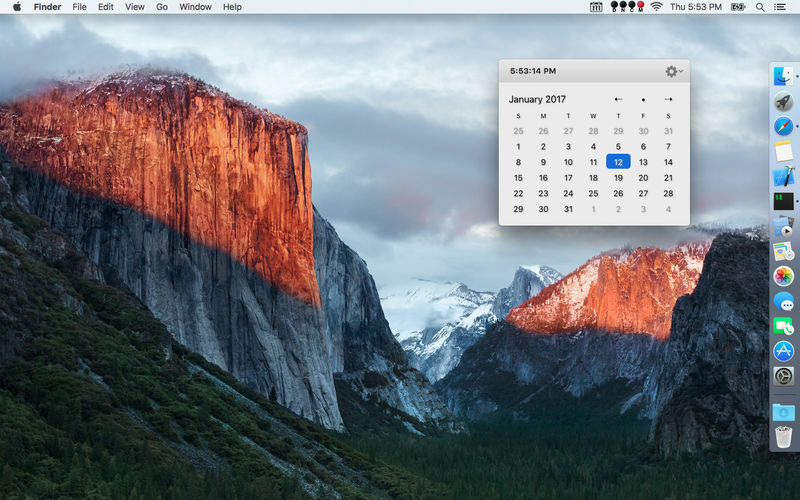 Full month name for menubar date.